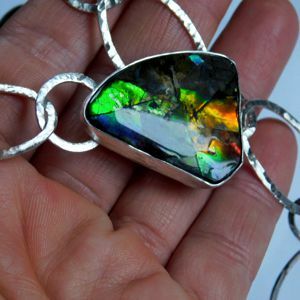 Inspired by the colourful Ammolite gem, I created this pendant with a unique silver texture on the back side. 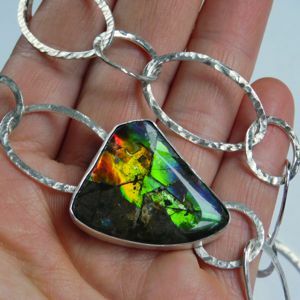 The Sterling Silver chain including the Ammolite clasp is 78 cm. 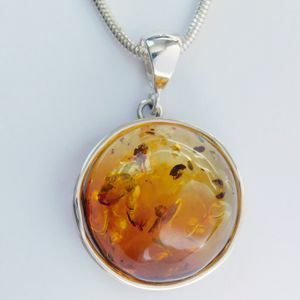 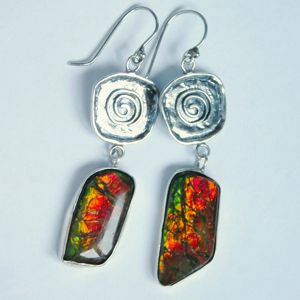 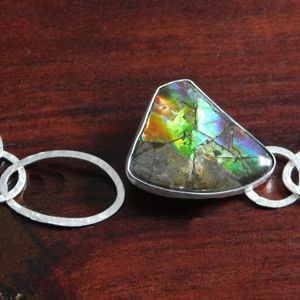 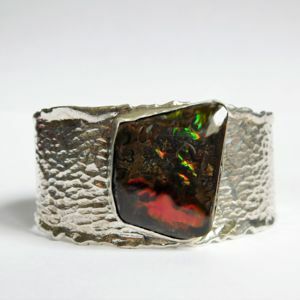 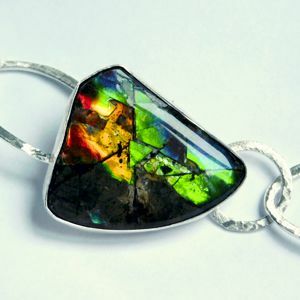 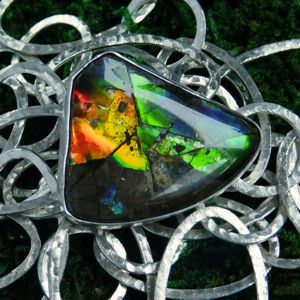 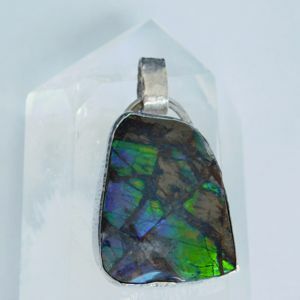 The Ammolite gem measures 30 x 26 mm and sparkles in green, yellow, orange and turquoise. 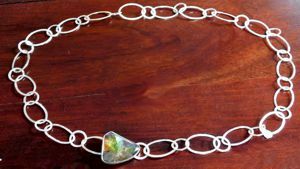 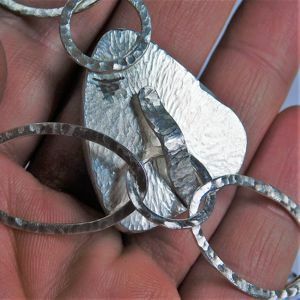 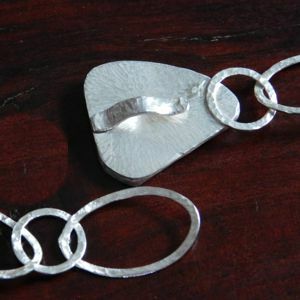 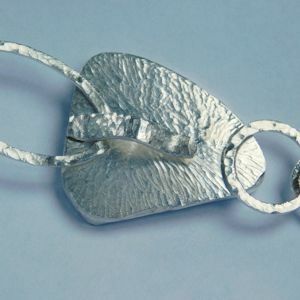 I created an open clasp so you can change the look of your necklace and even wear it as a belt if you wish.